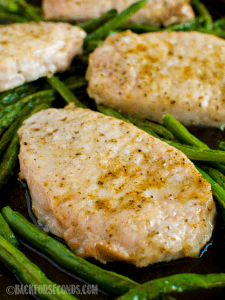 Low Carb Keto Sage Butter Pork Chop Sheet Pan Dinner is hands down a winner! Ready in 20 minutes, it’s perfect for busy weeknights. Nutritious and delicious! I absolutely love when I make a meal that my whole family enjoys and asks me to make again. This was one of those dinners, and not only is it tasty – it’s quick, healthy, and only uses one pan! My family really likes pork. 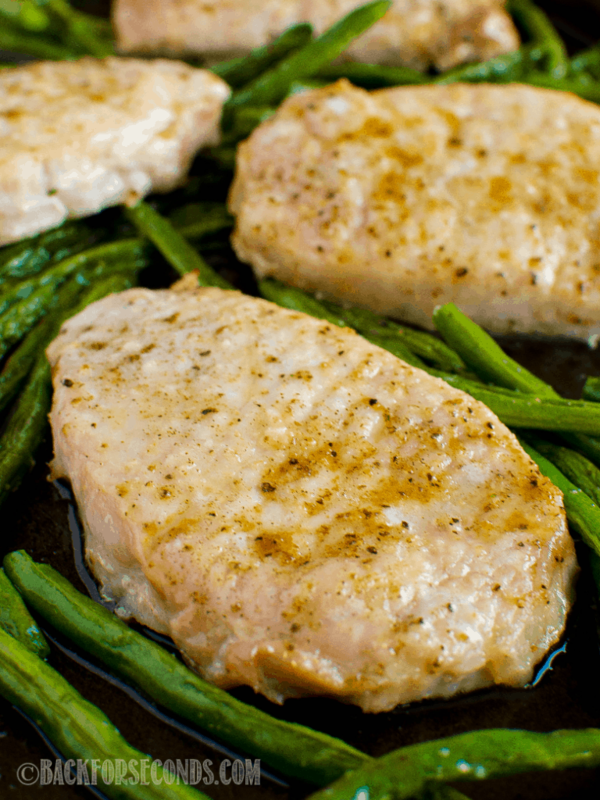 One of our favorites is this recipe for BEST Pork Chops with Creamy Pan Gravy. I usually serve it with Amazing Cream Cheese Mashed Potatoes and extra gravy, but lately we have been skipping the potatoes and going with just meat and veggies for dinner a couple times a week. No one asks where the potatoes are. No one even misses the gravy! Now, I’m not saying we are cutting potatoes and gravy from our lives, but it’s nice to know I can also make a healthy pork dinner (with way less work), and everyone is going to love it! 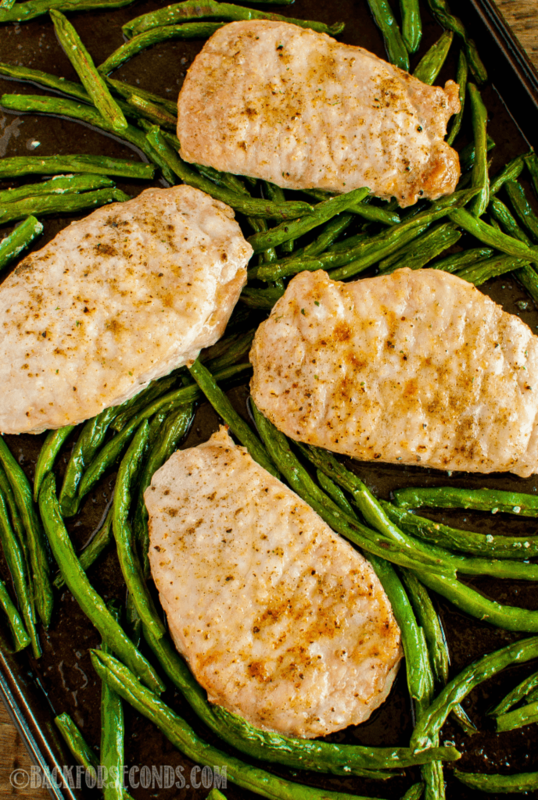 If you’re not a fan of green beans, no worries! You can swap those out for a different veggie you do like. Peppers and onions would be delicious, or mushrooms, asparagus…almost anything could be substituted in this recipe. Stay tuned – more recipes like this are coming your way! Make sure you are signed up to receive emails to be the first to get new recipes! 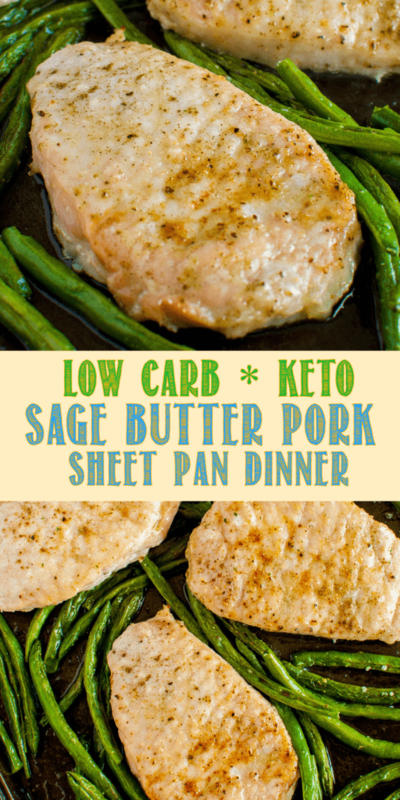 Low Carb Keto Sage Butter Pork Chop Sheet Pan Dinner is hands down, a winner! Ready in 20 minutes, it's perfect for busy weeknights. Nutritious and delicious! In a small bowl, stir together the melted butter, sage, and garlic salt. 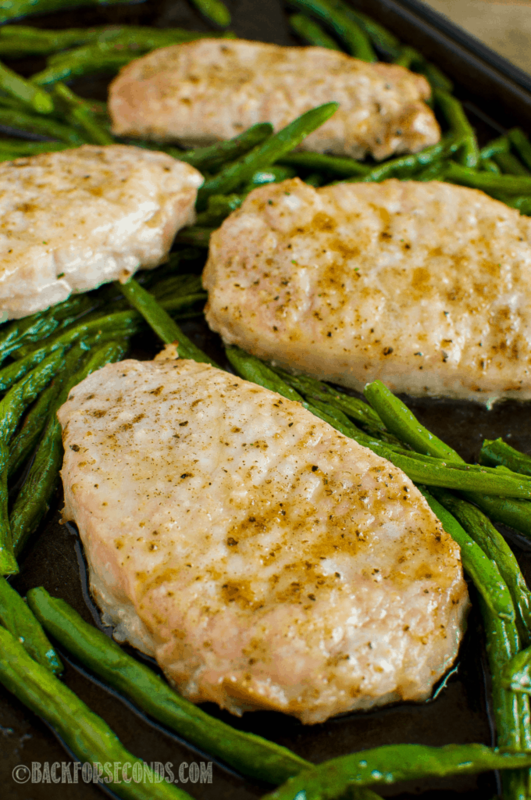 Brush butter over both sides of pork chops and place on a sheet pan. 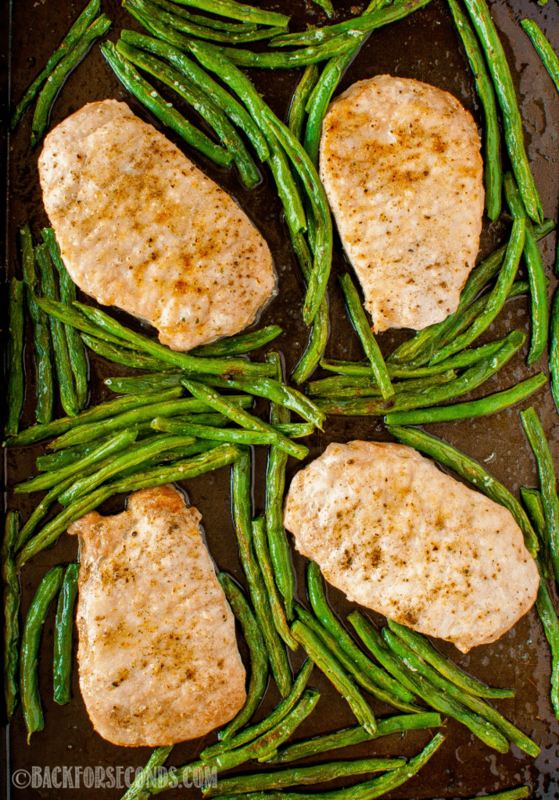 Toss green beans in remaining butter, and spread them out in a single layer on the sheet pan with the pork. Bake for 15 minutes or until pork reaches internal temperature of 145.